(Francisco Kjolseth | Tribune file photo) In this 2015 file photo, Utah-based company Dose of Nature launches a line of legal Cannabidiol products made from industrial hemp extract. Products containing the nonpsychoactive cannabis component CBD could disappear from the shelves of stores currently selling them widely to the public and could be moved into more tightly regulated dispensaries if voters approve a medical marijuana ballot measure in November, the Utah Department of Agriculture and Food said Wednesday. Representatives from the agency said the change would occur due to language in Proposition 2, which would allow for at least one cannabis dispensary in each county, and more for larger counties. CBD, the abbreviation for cannabidiol, is a widely popular supplement that for years thrived under an unclear legal framework in Utah that lawmakers recently cleared up to allow for the products to continue to be sold here. People seek the products containing the ingredient, which can be extracted from marijuana or its close cousin, hemp, for its purported medical benefits. Scott Ericson, deputy commissioner of the Department of Agriculture and Food, said the agency received an opinion from Attorney General Sean Reyes’ office saying CBD products would be need to be sold in dispensaries, rather than stores that rushed to supply customers with CBD amid a recent nationwide boom. “The initiative would require all cannabis products in the state to be sold from a dispensary,” Ericson told lawmakers Wednesday during an interim legislative hearing at the Capitol. The measure, which is headed to the November ballot, would allow for one dispensary for every 150,000 people in a county, rounded up to the nearest whole number. That means counties with fewer than 150,000 people could still have up to one dispensary. Salt Lake County could have up to eight. Ericson also repeated his concern that the agency would struggle to meet deadlines in the ballot measure if it passes and allows people to obtain a card from the agency that would allow them to buy and possess marijuana to treat their conditions, such as chronic pain or cancer. Reyes’ office declined to make the memo available, noting that it was produced for the agency and is protected by attorney-client privilege. After the hearing, Ericson said all questions about the ballot measure are being channeled through the governor’s spokesman, Paul Edwards. Gov. Gary Herbert opposes the measure. Connor Boyack, president of the Libertas Institute — the libertarian-leaning think tank that is financially backing and has close ties to the campaign proposing the measure — said he didn’t think the initiative would limit CBD sales. “Our contention is the law as currently written and the initiative when passed do not conflict with one another,” Boyack said after the hearing. “It would be up to the Department of Agriculture to decide if, based on an erroneous interpretation of the law, they want to start cracking down on retail stores carrying CBD. CBD was made legal in Utah in 2014, after businesses began extracting it from cannabis plants and using the extract to make pills, oils and other products that people say helps with an array of conditions. Stores throughout Utah have been selling it under unclear state and federal guidelines for years. Most CBD products aren’t federally approved for medicinal purposes, so businesses typically brand them as dietary supplements. Utah lawmakers moved during the recent legislative session to put in place testing and licensing requirements to get a better handle on the products and to ensure their safe consumption. 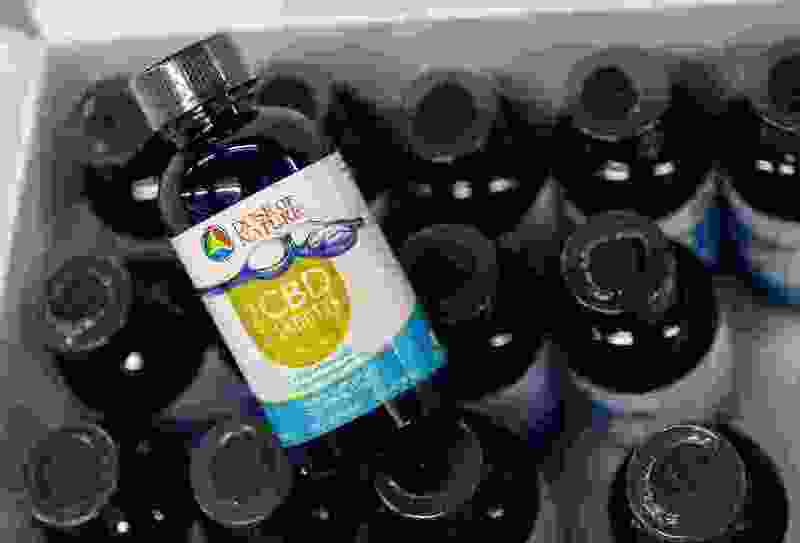 State officials reported an uptick in calls to poison control after people said they ate what they thought were CBD products that produced side effects not associated with CBD, which doesn’t contain THC, the psychoactive byproduct of marijuana.